Honesty compels us to admit that we have clay feet. We are merely mortal, and our origin from the clay of the earth is a reminder that we are imperfect. Stumbling due to our feet of mud is one thing. 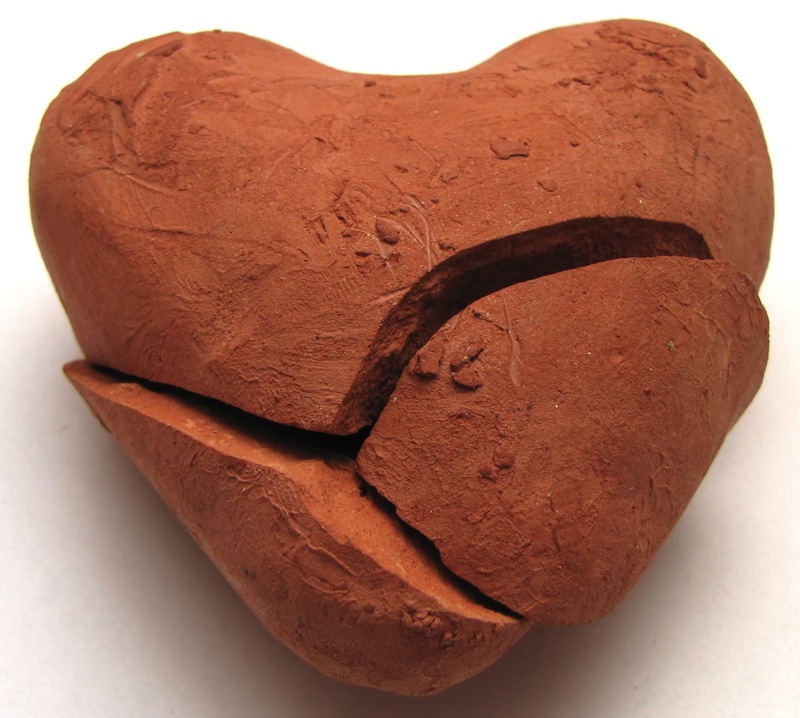 Far worse, we earthen vessels also have hearts of clay. Our affections are fickle, and too often we fail to fulfill our vows to those who have made themselves vulnerable by entrusting to us their own love. I doubt any of us have been untouched by the pain of transient love. The ideal we long for . . . the vision we dream about . . . and the lasting intimacy we pray for often seem so very fleeting. Saddest, to me, are those relationships that have lasted many years, where the once glowing light has dimmed and the comforting warmth has dissipated. C.S. Lewis did not marry until late in life. The personal experience of marriage, of course, modified some of his bachelor perceptions about the holy estate. Nevertheless, having been married for thirty-seven years myself, I continue to be amazed by just how perceptive Lewis was throughout his writing life. Consider the following from The Four Loves. Lewis discusses the importance and glory of passion consecrated by marital vows, but he does not pretend that it does not wax and wane. Nor does he imagine that even between wife and husband, a focus on the passion in their relationship is without potential hazards. But Eros, honoured without reservation and obeyed unconditionally, becomes a demon. And this is just how he claims to be honoured and obeyed. . . . Of all loves he is, at his height, most god-like; therefore most prone to demand our worship. Of himself he always tends to turn “being in love” into a sort of religion. Theologians have often feared, in this love, a danger of idolatry. I think they meant by this that the lovers might idolise one another. That does not seem to me to be the real danger; certainly not in marriage. The deliciously plain prose and businesslike intimacy of married life render it absurd. So does the Affection in which Eros is almost invariably clothed. Even in courtship I question whether anyone who has felt the thirst for the Uncreated, or even dreamed of feeling it, ever supposed that the Beloved could satisfy it. As a fellow-pilgrim pierced with the very same desire, that is, as a Friend, the Beloved may be gloriously and helpfully relevant; but as an object for it—well (I would not be rude), ridiculous. The real danger seems to me not that the lovers will idolise each other but that they will idolise Eros himself. I believe Lewis has identified something profound here. The utter familiarity, the nakedness of our souls, that is part of any genuine marriage precludes anyone sane person from idolizing their partner. We, after all, are more familiar than any other human being with their feet of clay. However, if we succumb to the snares of Eros, cast wide across television, literature, cinema and internet, we doom ourselves. True love will not cohabit with this counterfeit. The good news, celebrated by Head Over Heels, is that even when love fades away, there is still hope. Just as clay-footed human beings can experience resurrection, so too our clay-hearted relationships can be restored and blaze with renewed joy. Most readers of Mere Inkling possess social networking accounts. In light of that fact, we will have a gut reaction to this allegation, invariably based upon our own experience. Some will assume, I don’t get depressed reading posts on Facebook, so that study must be wrong. Others may think, I can see how everyone’s reports on their achievements could discourage a friend whose life isn’t progressing nearly as well. In fact, some of us may have read about the accomplishments of our peers and felt a nagging pang that we don’t quite measure up. To be fair, the problem doesn’t lie with Facebook per se, it’s a consequence of the human condition. No matter how self-confident a person appears, there is a seed of insecurity within each of us. Christians would trace it back to humanity’s fall, but whatever its source, we innately recognize that we are not the true masters of our own destiny. Even if we make every choice afforded us correctly, there are accidents, diseases, whims of genetic imperfection and assorted other things that remind us of our vulnerabilities. It is not actually our insecurity that creates the dynamic where Facebook can become a great discourager. The cause is more insidious than a mere awareness of our own dependency. The reason we are saddened by the success and happiness of others—even those we love—is due to envy. That’s an ugly word, and it’s not something we want to foster in our lives. In fact, whenever it rears its head, we strive to crush it with our heel. The truth is that most of us subconsciously experience this feeling far more often than we are aware. It could, for example, be as simple as longing for a sporty new car or muscular new truck like the one that just passed us on the road . . . or wishing that our makeup accented our features or our clothes flattered our bodies as nicely as someone we passed on the sidewalk. Envy can be especially evident at events like high school class reunions. As the decades pass, it becomes simpler to contrast the (external) accomplishments of classmates who once shared seemingly equal opportunities. You can find envy everywhere, even (God forbid) in churches. That’s why James included the following in his letter to the Church. Listen, my beloved brothers, has not God chosen those who are poor in the world to be rich in faith and heirs of the kingdom, which he has promised to those who love him? But you have dishonored the poor man. (James 2:1-7, ESV). In an essay entitled “Democratic Education,” C.S. Lewis noted, “Envy is insatiable. The more you concede to it the more it will demand.” Lewis also included it in his description of the damned. We must picture Hell as a state where everyone is perpetually concerned about his own dignity and advancement, where everyone has a grievance, and where everyone lives the deadly serious passions of envy, self-importance, and resentment. (The Screwtape Letters). There’s really only one way to reduce the influence of envy in our lives. It comes from understanding how truly precious—how intensely loved—we are, by our Creator. When we understand that he loved each of us so deeply that he was willing to allow his only begotten Son to die in our place . . . only then can we comprehend that we need envy nothing. I have learned in whatever situation I am to be content. I know how to be brought low, and I know how to abound. In any and every circumstance, I have learned the secret of facing plenty and hunger, abundance and need. I can do all things through him who strengthens me. (Philippians 4:11b-13). 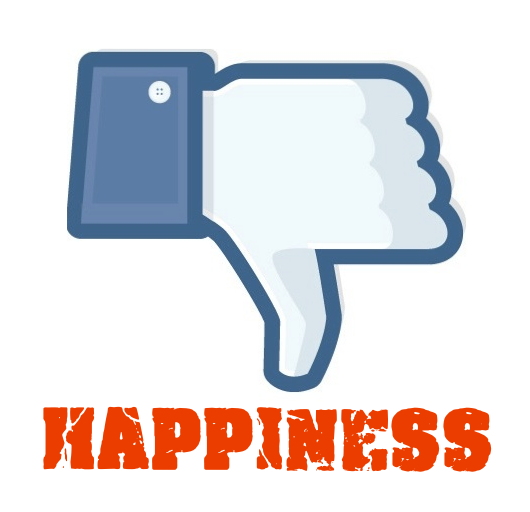 The study, “Facebook Use Predicts Declines in Subjective Well-Being in Young Adults,” is available through the Public Library of Science here.